Actually, we visited this restaurant back then about two years ago when they just newly open. The restaurant isn't located in the main road nor any malls. 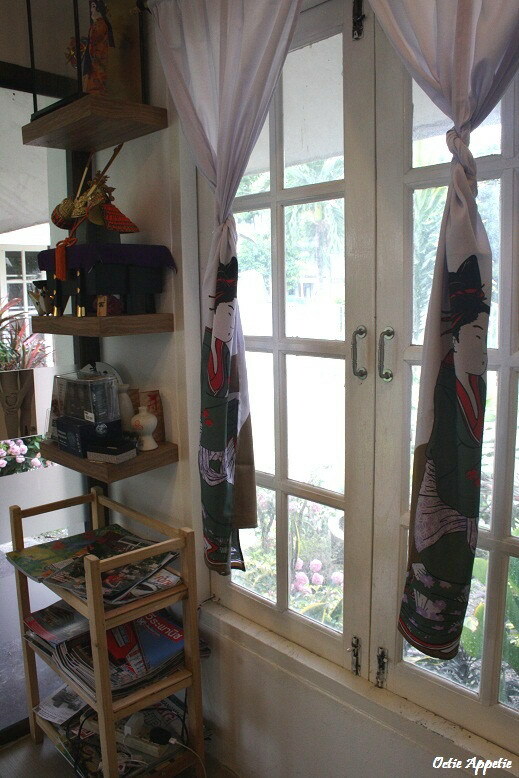 It is in the small house, very cozy and nicely decorated. However, if you have any problem in finding the location of this restaurant, you can call them up anytime. At that time, they only have 2 tables that fit only eight peoples in one time. And early reservation is required (even until now). And last year we visited his restaurant again, he had expanded the dining area (as more demand) to become four or five more tables. 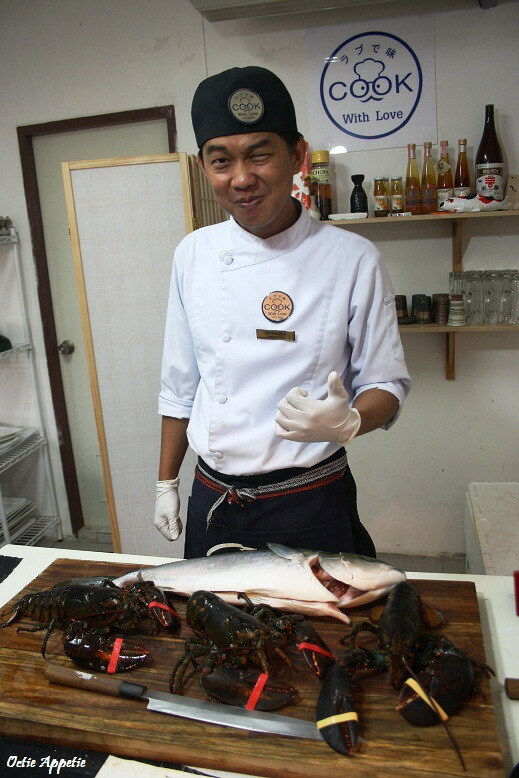 The chef is named chef Khai and he is very talented chef. He is one of my husband's close friend and used to work in a five star hotel as a head chef dealing with Japanese food. However, he has a passion to open a Japanese restaurant on his own to freedomly create modern yet authentic Japanese cuisine. After back and forth to Japan, looking for some more ideas and equipment that we can't find in Thailand, finally now he is, successfully open his own restaurant, tiny but that's where the charm is. Inspired by Takizawa restaurant in Japan, where they only have about 8 dining tables with chef's table in the middle as a show table while he is preparing the food. This restaurant serves set course menu that need to pre-booked at the time you make a reservation. 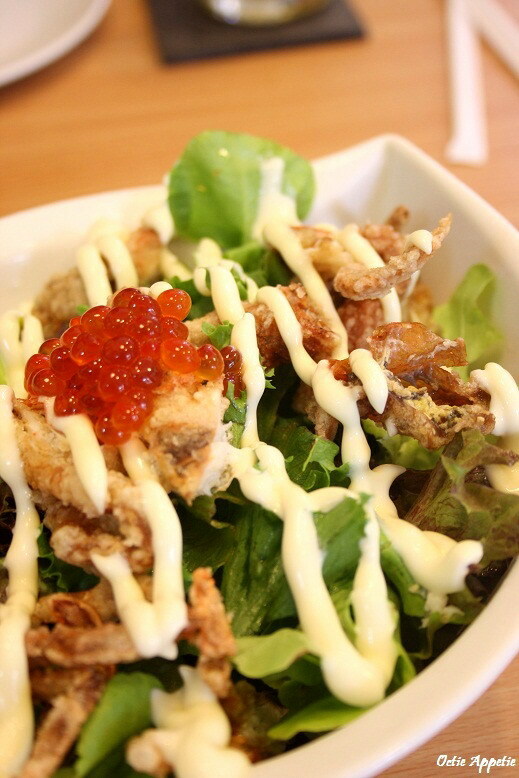 Because ingredients are purchased and prepared daily to keep the freshness. 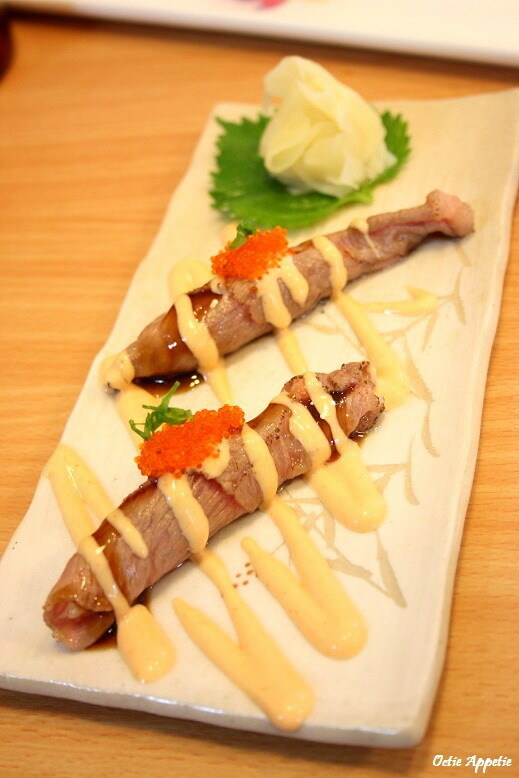 However, some a la carte menu are also available on special request. 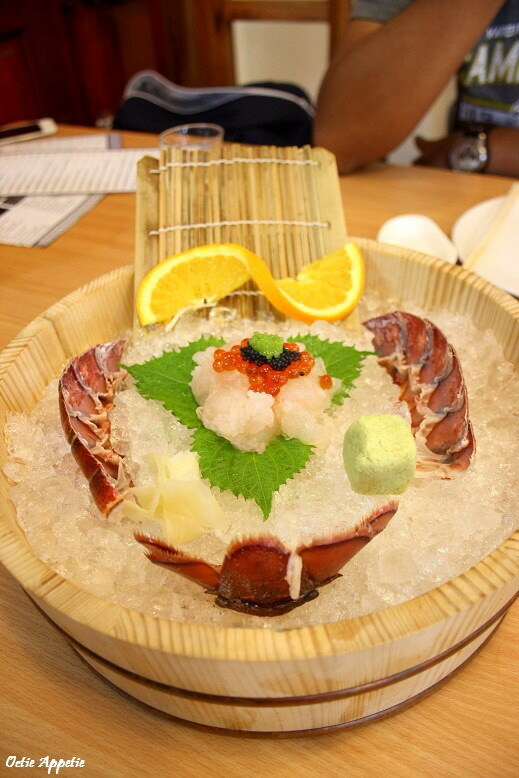 I have never had a lobster sashimi before, what I normally have just a simple salmon or tuna but with this dish it can convert me to choose lobster sashimi over any other fish or sea shell. This is the chef's recommendation. 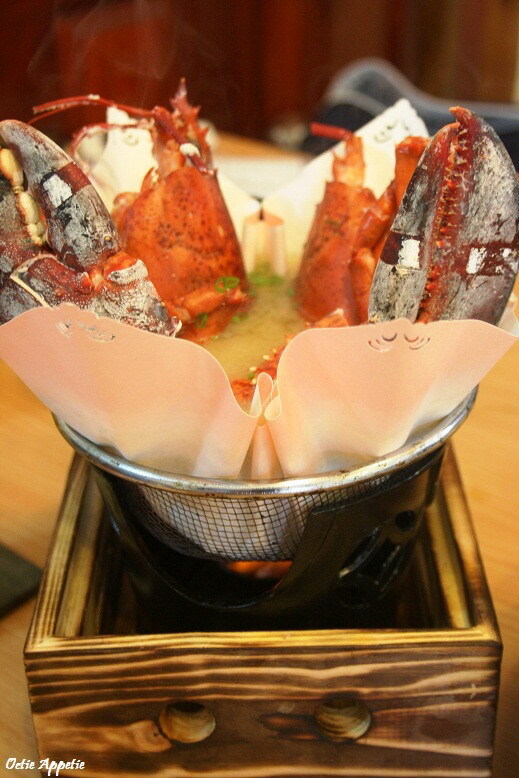 It is a fresh whole lobster soup that serve on the strainer (not pot) that covered with special paper (imported from Japan). This paper can hold the liquid from the soup and heat from the fire without melting out. 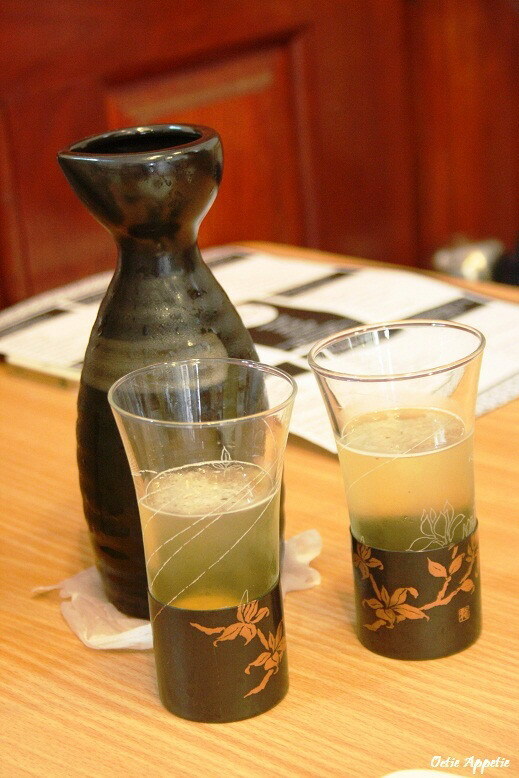 His simple chawanmushi was silky smooth and tasty too. At the end of our lunch, he actually thought me how to make one, but I unfortunately I didn't note it down, so I can't copy one like this at home. 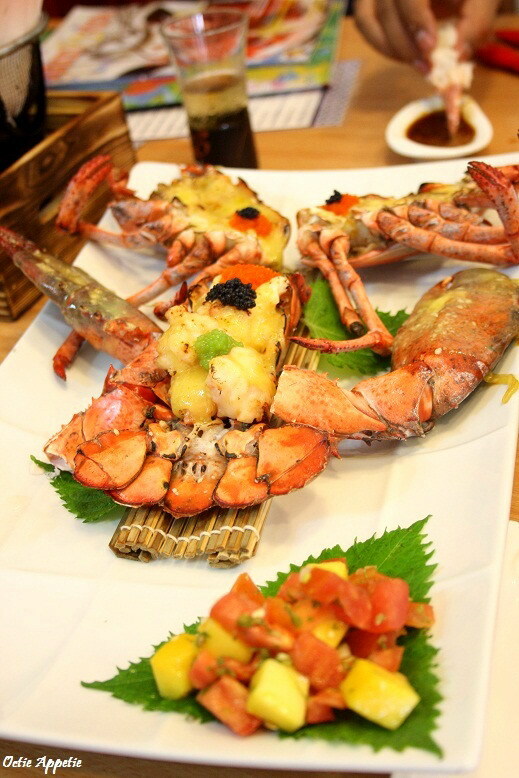 This dish was good but by then after so many lobster and seafood dishes, start to get a little fed up and I need my meat onwards please. This meat dish was just perfect. Great quality of wagyu beef, marbled and oily piece of meat. It is cooked to perfection that just melt-in-your-mouth. After a wonderful meal courses that we had, honestly I expected dessert served much better than this. It was actually taste good, not too heavy, but I am a sweet-tooth person and I love my dessert to be spot on and big to end my meal, regardless how full I am. But this for me more like a mouth-washing menu or pre-dessert dish.